We offer glass fiber-optics cables in both thru-beam and reflex configurations for use with our FMS series photoelectric sensors. Not only do they partner well with our standard series of universal heavy duty M18 and M30 photoelectric sensors, the fiber-optics provide flexibility, a small diameter, and are ideal for high-temperature applications, accommodating up to 250C. Varying lengths are available to extend the sensor function into very small or otherwise inaccessible places. Depending on the sensor and fiber-optic configuration selected, light barriers offer a sensing range up to 3000 millimeters and reflex-scanners offer a sensing range up to 500 millimeters. 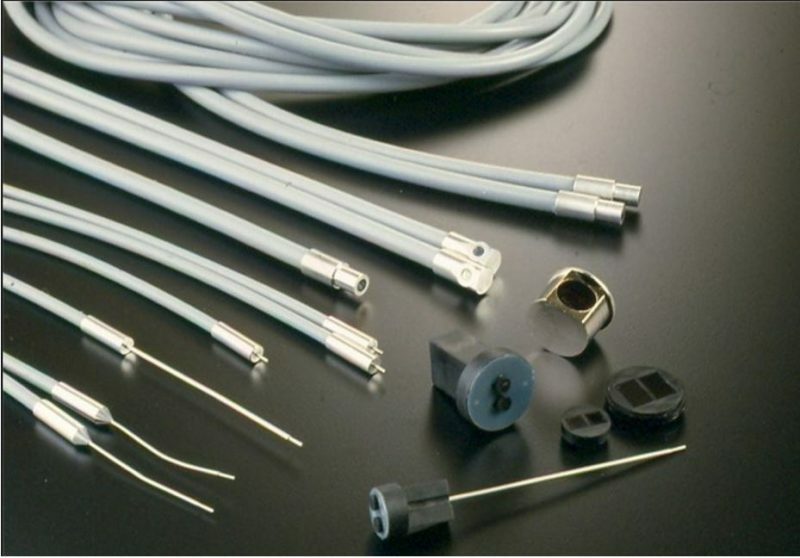 The high quality product that Locon provides is readily matched to harsh application conditions, making our fiber-optic and photoelectric sensor pairings suitable for a variety of tasks – they are a successful solution to sensing in challenging environmental settings. For answers to any specific questions regarding our industry-leading fiber-optics, contact us today! Please inquire about customized units for your specialized project needs.